GULU. The derelict walls of Pece War Memorial Stadium in Gulu could breathe some life again soon after the district authorities begun drumming for contributions to rehabilitate the stadium ahead of the 14th Edition of the East Africa Secondary School games due in August. The stadium has a dilapidated pavilion dressing room and a nonfunctioning sanitary facility. The fundraising drive is geared toward grading and plant new turf grass and refurbishing the badly done in walls. The development follows recommendations by a delegation of Uganda Secondary School Sports Association officials that the facility be improved to meet minimum standards of hosting the post-primary games. 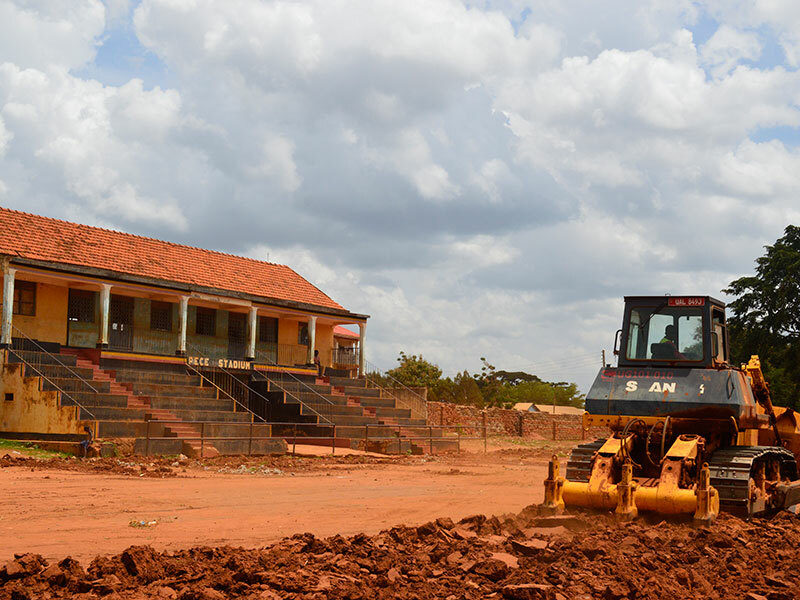 Gulu District chairman Martin Ojara Mapenduzi told PML Daily on Monday that the district has taken over the rehabilitation work from the Board of Trustees and War Veterans Association –who were the custodians of the stadium. A team from the district engineering office carried out an assessment and came up with a budget of Shs360 million that the district is canvassing. According to Marpenduzi, the district does not have enough funds to rehabilitate the stadium in time for the games. Pece Stadium is to be the main events host as Layibi College, Gulu High School and Sacred Heart School playgrounds offer other venues for spillover matches. Last months, the district constituted a committed to oversee the rehabilitation process with a fully-fledged finance committee. Already, a non-governmental organization has contributed Shs35 million but the rush against time is a sweaty affair. Denis Ojwee, a retired FIFA referee and a member of the organizing committee, said the deadline for fundraising and completing the work not only on Pece Stadium but also the swimming pool at Layibi must be met if Gulu is to host the prestigious games. Aldo Odo, the district sports officer, said Gulu’s initial fun- raising drive from sports development fee of Shs500 for primary schools and Shs1,000 for secondary raised Shs13 million shillings only over the last three years. This, he added, cannot do much. The district has less than two months to host more than 4,000 guests and participants from Uganda, Kenya, Rwanda, Burundi, South Sudan and Zanzibar are expected to arrive in Gulu for the two-week games that begin on the August 10. Pece stadium was built by the British colonial government in memory of Ugandans who took part in the World War II.